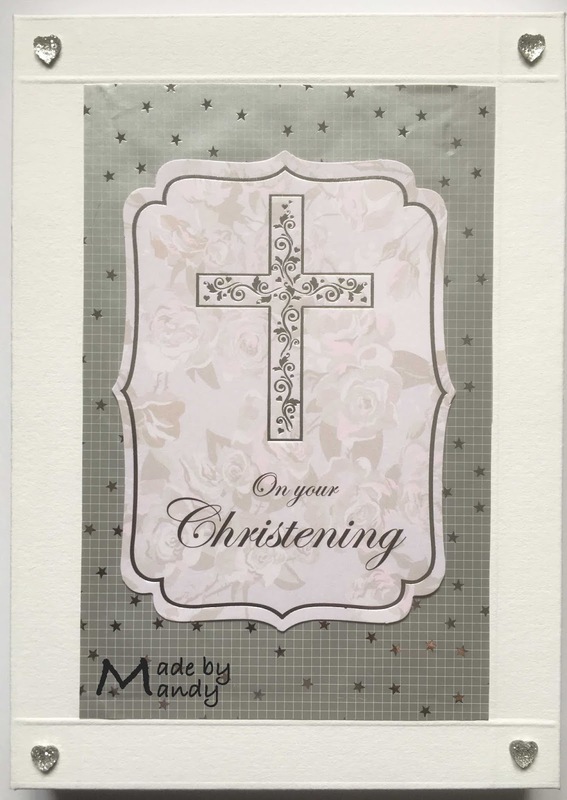 This is the card I made to celebrate the christening of the daughter of our best friends. 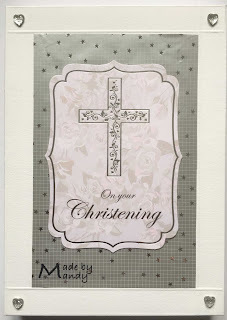 I used my bookatrix board to make a bible style card layering card and papers to create the design. The silver paper for both the card and the matching box is from my stash. I added heart crystals from the bridal section of The Range. I edged the ‘pages’ of the Bookatrix with peel off stickers and added ribbon as the centre spine of the book. The Christening sentiments are from Kanban. Her Mum was having a Peter Rabbit theme so I incorporated a Beatrix Potter embellishments into my design. Absolutely beautiful! Thanks so much for joining us at The Sisterhood’s ‘One for the Ladies/Girls’ challenge and please come back again soon! Such a clever idea of the open book. A lovely card. It is a long time since I have seen the bookatrix board being used. I must resurrect mine! Thank you for joining us this week at QKR Stampede. What a beautiful creation for a beautiful celebration! Thanks for sharing with us at 613 Avenue Create! Simply beautiful card Mandy, love the wonderful emblishments!! Absolutely stunning!!!! So beautiful and something to treasure always. Thanks for joining us at Paper Nest Dolls challenge this month! Lovely way to commemorate your friend's christening of her daughter, Love the addition of Peter Rabbit and the crafted box as well. Thanks for sharing with us at 613 Avenue Create this month. Thank-you for joining us at the Crafts Galore Encore Challenge March ATG.